"A fun multiplayer game combining guns and soccer!" 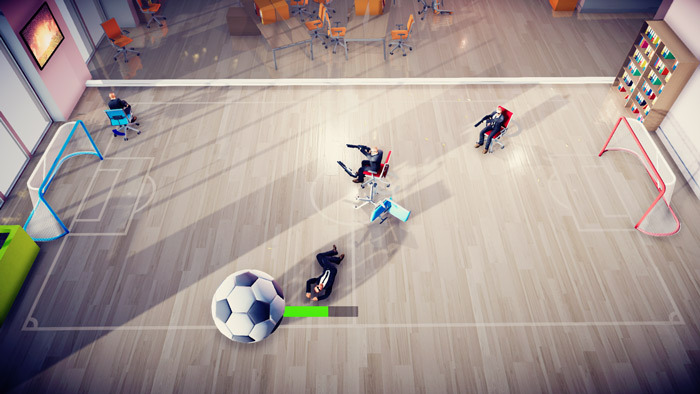 Last Man Kicking is an action multiplayer game for 1-4 players locally, the game takes place in the break time of an office where everyone seems to have come to work armed with a large shotgun, but to win the game you do not shoot people, you need to use the propulsion of the gun to move a giant soccer ball in to your oppositions goal. You can even play alone against AI characters but the more people you have the more fun it makes the physics of the game, and knocking your opponents out of their swivel chairs can also provide moments of hilarity. 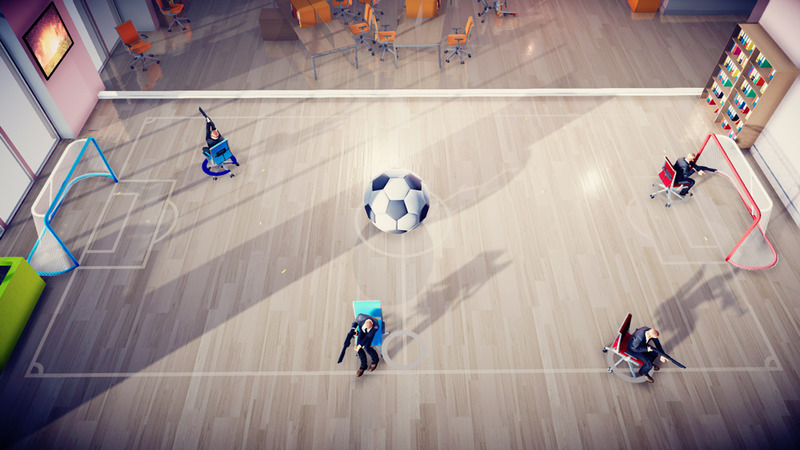 Last Man Kicking doesn't have a huge amount of variation as it is only a demo there's no options for different stadiums or modes but with a few friends this game provides a lot of fun moments and is incredibly enjoyable. 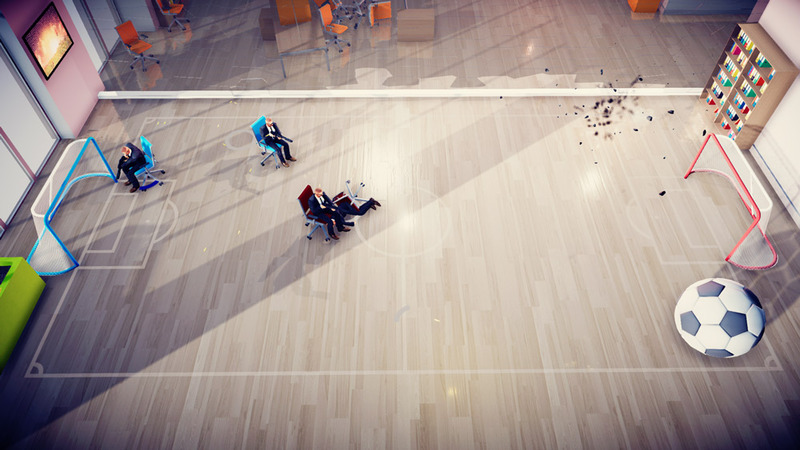 The graphics look good but the real key is the how much fun the multiplayer gaming is , and although this is only a mini game taken from the larger game Last Man Sitting which is available for early access on Steam but is certainly worth checking out especially if you are looking for a fun free local multiplayer game. You can download Last Man Kicking here for free.